Mother Nature frowned on us this first day of the Celebrity Pheasant Hunt in Aberdeen, South Dakota. We were there to make another episode of Wingshooting USA, chronicling both the good works of the fine folks raising money for kids, and a classic block-and-drive pheasant hunt. Torrential rains had flooded many fields, creating impressive duck habitat but scattering the ringnecks and idling the combines that power this area’s economy. Tony and Lynn Gauer took charge of the hunt at their place, doing their best to find relatively dry fields and shelterbelts, and keep us well-fed. We were still in over our high boots often. Wind to 30 miles an hour sapped our strength and will, and after more wading than walking we called it a day and regrouped in town for the first fundraising event for Camp Gilbert, South Dakota’s camp for diabetic teens. The next day dawned bright and clear at Rivett Refuge Preserve near Mina, SD. Our Celebrity Hunt contributors piled into the bus with as many dogs as hunters and we headed for carefully-tended and strategically chosen fields (thanks Ryan Rivett and Mike Helms). Sorghum yielded birds and a few shots … some even connected. Three-ring circus is an apt description of the canine-induced pandemonium. At one point we had seven dogs on the ground. Or maybe a hundred. As things settled, we hunted CRP grass, a few shelterbelts, and more sorghum. 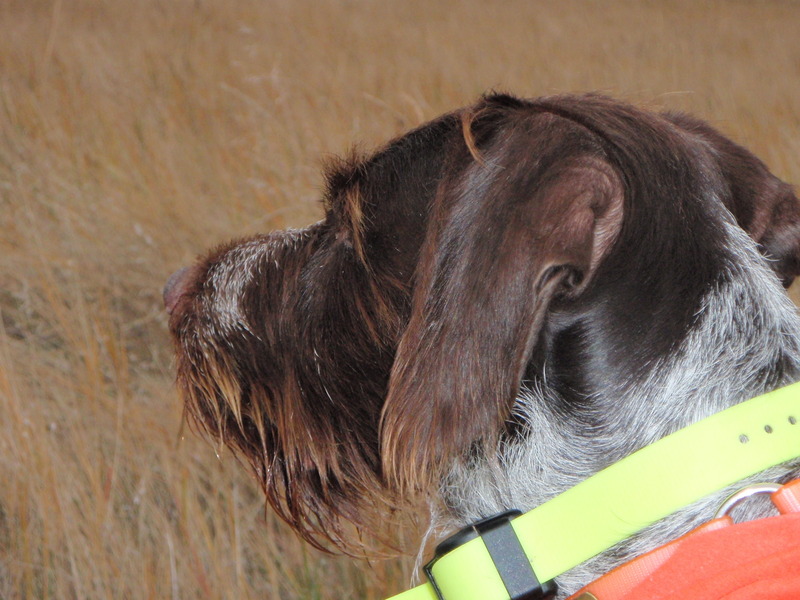 Birds flew, shots were taken and dogs were rested. The sun shone and life was good again. More from Rivett’s soon. www.wingshootingusa.org … Take one of your kids hunting on the show next season. Click on the “Win a Shot on the Show” icon. www.blackswingandclay.com… Cash for your conservation group, Cabela’s gear for you! Click on the “Hot Dog” icon. Thanks sponsors: Black’s Wing & Clay Waterfowl, Irish Setter, TriTronics and NSFF/www.wingshootingusa.org. Leave a comment, you might win a pair of Irish Setter boots and hunting jacket!